…as you could be doing any of these activities (and many more!) when you travel with Boogaloo! You should ensure be careful to check that there are no exclusion clauses limiting protection for the type of activities in your tour, including optional excursions. Many insurance companies will allow you to arrange extra cover for activities not covered by a particular policy – but our advise is always to check. For passport holding citizens of 93 countries aroun the world, the government of Colombia does not require visas. To find out if you live in one of these countries, check out our ‘Trips’ page then select ‘Visas’. If you hold a passport from one of those countries and travel to Colombia for tourism purposes only, you can stay for up to 90 days from the date of entry. 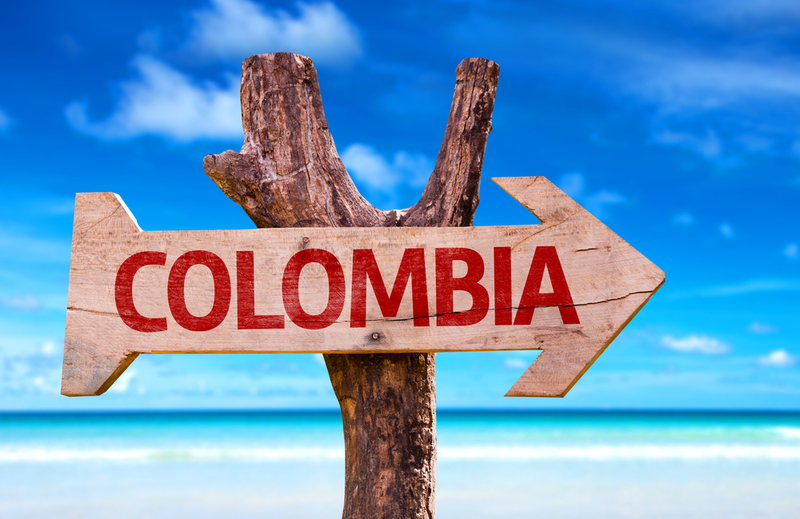 Proof of departure from Colombia within this period may be required at the point of entry. This is the law as we understand it, though do also be sure to check with the appropriate authorities before you book your holiday to Colombia. Our Weather is Amazing, But Be Prepared For Everything! The weather on your holiday to Colombia can very much depend on where in Colombia you visit, rather than when you visit Colombia! This concept may sound very odd to some people, especially if you live in a part of the world where you experience very defined seasons. So, let us explain to you a little further. Southern Colombia lies on the equator and the Colombian territory extends 1,400 kilometres to the Caribbean coast to the north. There is also a tremendous difference in altitudes throughout the country which impacts on the type of weather. Colombia also only has two seasons: rainy and dry. So, in Colombia we will experience a variety of climates all within the one country, hence we say it’s where you visit, not when – just be preapred for everything! When you travel with Boogaloo we will ensure you have a local yet English speaking tour guide. This means that wherever you travel in Colombia, you will never have to worry about the language barrier. That being said, being able to communicate with locals is an outstanding way to understand their culture and enrich your trip to Colombia. Your local English speaking guide will help you with translation and will even be able to give you some basic Spanish lessons before and during the trip. Our guides are here to help you make the very most of your guided tour of Colombia and will be more than happy to help anyone who is enthusiastic about speaking the language. Buen día! which means Good day! And please don’t forget that we are always at the other end of the phone / email more than happy to help you with any questions you may have, so please do not be afraid to ask us!